Pacific Gas & Electric (PG&E), California’s largest utility, is exploring the possibility of selling off a major part of the company, according to a new report. Thanks to the massive liability costs that they could be facing for their possible culpability in recent deadly wildfires, PG&E has a strategic plan called “Project Falcon” to cover costs and avoid bankruptcy. This plan would involve the company selling its natural gas division and then using the proceeds to pay the potential millions of dollars in claims from the wildfires. Anonymous sources recently told NPR that PG&E is also looking at selling critical real estate assets— like the company’s San Francisco headquarters. “Safety is and will continue to be our top priority as we work to determine the best path forward for all of our stakeholders. PG&E remains fully committed to helping our customers and the affected communities recover and rebuild — and to doing everything we can to reduce the risk of future wildfires,” said spokesman Andy Castagnola in a written statement. Back in June, Cal Fire (California’s fire agency) determined that PG&E power equipment sparked at least a dozen major wildfires in 2017. And now, the agency is looking into whether or not the company sparked the November 2018 fire that ended up being the deadliest and most destructive one in the state’s history. If Cal Fire determines that PG&E caused that fire, it could result in the company having to pay billions from legal action against them. 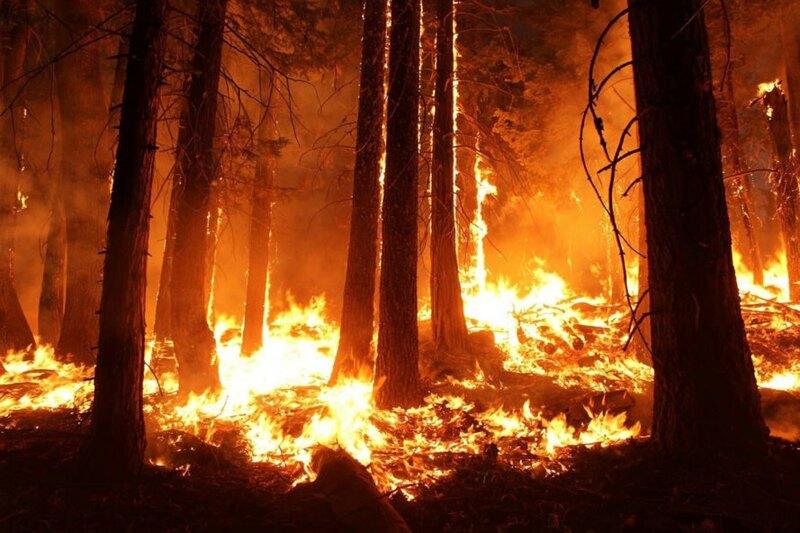 Insurance companies Allstate, State Farm, and USAA have already filed lawsuits against the utility, and some equity analysts project that the damages from the recent wildfire could exceed PG&E’s market value and its insurance coverage. The California Public Utilities Commission would have to approve PG&E’s plan of selling their natural gas division. The regulatory agency has already expressed their concern about the utility’s inferior safety record, as well as their lack of transparency and past efforts to pass liability costs onto their customers. State Sen. Bill Dodd, who originally supported shielding PG&E from liability costs related to the 2017 fires, has now switched gears. July 18, 2018 at 12:22 PM A political firestorm is about to hit the Capitol: Who will pay for wildfire damages?